Redheads always ask us: How do I keep my red hair from fading? Here are the answers! 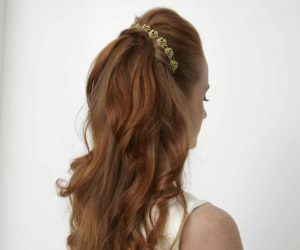 Redheads always ask us: How do I keep my red hair from fading? 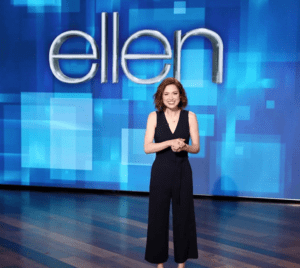 Ellie Kemper is a natural redhead and experiences red hair fading too — or “browning out” as many call it. Ellie sees celebrity colorist, Nikki Ferrara (who is a stunning ‘by choice’ redhead — by the way! ), at the Sally Hershberger Salon on W. 26th Street in New York, NY. We talked with Nikki on Episode 14 all about how she achieves Ellie Kemper’s gorgeous vibrancy seen on the popular Netflix show, “Keeping up with Kimmy Schmidt”, what hair products she recommends for redheads and more. How to keep red hair vibrant: She loves at-home maintenance as long as it doesn’t have metallic salt in it (which most color depositing shampoos usually don’t have). Her favorite color depositing product for a more vibrant redhead is Davines Alchemic Shampoo and Conditioner in Copper. 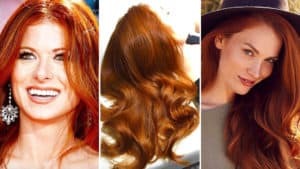 If you’re a lighter redhead shade, like Isla Fisher or Amy Adams, she recommends a less vibrant color depositing shampoo like Christophe Robin’s Copper. Redhead going white? She recommends a clear gloss with a little bit of gold (under heat, at a professional salon). It’s a very low maintenance to keep whites/grays in check. The color will naturally fade out. She loves a Sebastian Professional product for hairstylists to use — regular consumers cannot purchase it. Redheads with dry, itchy scalp: Christophe Robin Purifying Sea Salt and Christophe Robin Prickly Pear Scrub — she recommends using both as a pair at least once a week. Subscribe to the H2BAR Box: A monthly beauty subscription box for redheads! Use code: REDHAIR for 15% off your first subscription.